Ald. Melissa Wynne (3rd) speaks at a council meeting. Wynne voted to deny the lease agreement with Evanston Lakehouse and Gardens. City Council denied a 40-year lease agreement with Evanston Lakehouse and Gardens for the Harley Clarke mansion at a meeting Monday, possibly signalling the end of the three-year-long renovation effort. Aldermen voted 7-2 to deny the lease, with Ald. Eleanor Revelle (7th) and Ald. Tom Suffredin (6th) voting to approve the agreement. Aldermen who denied the lease cited issues with fundraising and potential risk for the city. The Harley Clarke mansion — located in north Evanston at 2603 Sheridan Rd. — has been vacant since the Evanston Art Center moved out of the building in 2015. In November, aldermen authorized the city to draft a lease and contract with Evanston Lakehouse and Gardens to renovate the mansion, which includes lakefront access, a greenhouse and garden. The nonprofit was founded in 2015 with the goal of renovating the historic mansion, according to its website. 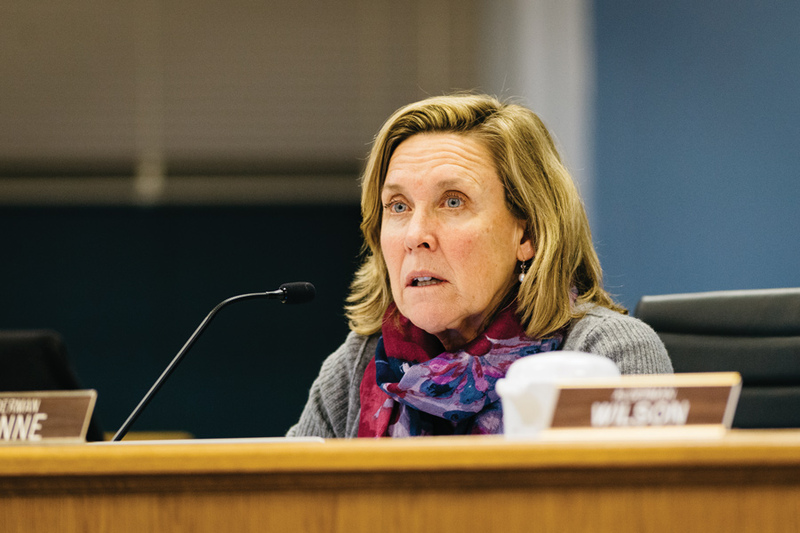 Revelle told The Daily she was disappointed that city staff did not get a chance to come back with a revised lease. She said this agreement is “truly at the very end” and she isn’t aware of any other organization looking to take on the project. “(The mansion) is going to sit there for a while while everyone moans and groans because nobody knows what to do with it,” Revelle said. Ald. Melissa Wynne (3rd) said she had concerns about the time frame for fundraising and potential liability issues for the city. The lease would have required Evanston Lakehouse and Gardens to raise $5 million over 10 years, which Wynne said would have to be shortened for her to support the agreement. According to city documents, if property damage — by a “casualty or act of God” — is less than or equal to 85 percent of the market value, the city must repair the mansion. Ald. Robin Rue Simmons (5th) also voiced concerns about donor fatigue, considering the city has taken on other renovation projects like the Robert Crown Community Center. Rue Simmons cited Family Focus — a building in the 5th Ward that community leaders are attempting to purchase — as a nonprofit that could benefit from donations. Community leaders and residents need to raise $5 million to purchase, maintain and renovate Family Focus, which provides educational resources. Responding to residents who spoke during the meeting’s public comment section about how approving the lease would promote equity in Evanston, Rue Simmons said only five people came out to support the preservation of Family Focus.